Ms. Bauer has and continues to dedicate her life to helping improve the health of others. According to her website, “Her mission is to improve the health of our nation; she believes it’s never too late or too early to reap the benefits of healthy living.” Joy Bauer’s long list of profession affiliations makes her advice easily accessible and highly credible. I encourage you to visit JoyBauer.com and read her bio, quite an impressive woman! Food Cures is written as a systematic approach to improving one’s health. Whether it is a medical condition, weight problem, or simply a desire to be healthier, this book provides the plan. Joy includes a for step program for each chapter; 1 start with the basics, 2 grocery list, 3 going above and beyond, and 4 meal plans. For example, Part 2 is totally dedicated to weight loss. The chapter begins with discussion on personal evaluation, calorie information and calculations, and boosting ones metabolism. Then the four-step weight loss program is written, including flavorful and creative recipes to accomplish all of the above. Pages are highlighted with FAQS associated with each topic. Every chapter includes information to overcome common struggles associated with the corresponding health topic being addressed. These two features are what make this book phenomenal, in my opinion. Knowing the author truly understands the struggles associated with a particular lifestyle change can be the factor that moves one to attain the goal. Part1 – Welcome. Two chapters dedicated to understanding the theory of good nutrition, and preparing yourself to make the change for a healthy lifestyle. Part 2 – Weight loss. As a thin and petite person weight loss was not one of my struggles in life and for that reason I found this chapter to be very interesting. Part 3 – Looking Great, addresses the skin, hair, and teeth. The chapter about skin was of special interest to me being a midlife woman. Want beautiful skin, think antioxidants! Not only do they help protect the skin from free radicals and the sun but selenium will also protect the skin quality and elasticity. This is not one to get from a supplement. According to the Nutritional Prevention of Cancer Trial, supplements increased the risk for cell carcinomas. This is just one tidbit of nutritional advice from Food Cures, so you can imagine the wealth of nutritional information written here. Part 4 – Living Long and Strong, includes six chapters. Here cardiovascular disease, diabetes, arthritis, and osteoporosis are discussed in depth. Much of my family has been touch by all of these diseases. A supporter of holistic treatment/medicines and natural remedies I firmly believe that food does play an important role in controlling and even in some cases overcoming these diseases. Memory and vision is also included in the part of the book. After reading these chapters, both my knowledge and opinions were strengthened greatly. 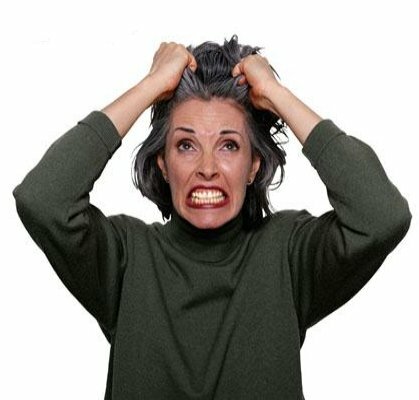 Part 5 – Feeling Good – Mood, Migraine Headaches, Premenstrual Syndrome, Insomnia, Irritable Bowel Syndrome, Celiac Disease, and Cancer Prevention. This part could be a book in itself! Suffering from migraines in the past and more recently insomnia, I can tell you for sure Joy Bauer offers factual information. Did you know… dehydration is a common migraine trigger? That Chamomile tea may be helpful for PMS. 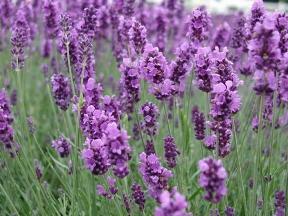 Lavender calms the nervous system and aides with insomnia. This midlife woman can attest to this fact! These are just a few of the food facts found in part five. Part 6 – Resources – Here you can learn everything you ever wanted to know about about nutritional labels plus find all of the references used in this wonderful book. Not only is Food Cures easy to understand and packed with recipes but Joy Bauer expresses a level of understanding that makes you trust what she saying. She believes what she teaches and I get the distinct impression she truly does want to help others. If you are looking for inspiration to move to a healthier lifestyle or overcome a weight problem this is the book for you! 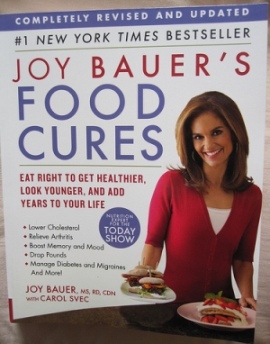 I would like to thank JoyBauer.com for providing me with a copy of New York Times Best Seller Food Cures. Wow! Looks like a great book to have! I’ll check if there’s a copy in the bookstore! Thank you so much for aware people about the food cures. On many occasions such as new year party, Christmas etc. people forget what to eat and what not to eat but they should surely consult to their Nutritionist Dietitian.